EARLY 20TH-CENTURY INDUSTRIAL LANDSCAPE. Ultra-urban, modern design studio. Midcentury upscale loft. Weatherbeaten barnyard. Depending on where your gaze falls in this home, your impression of it will shift. And yet, somehow, the whole thing holds together in one mesmerizing kaleidoscope of color, texture, and material. 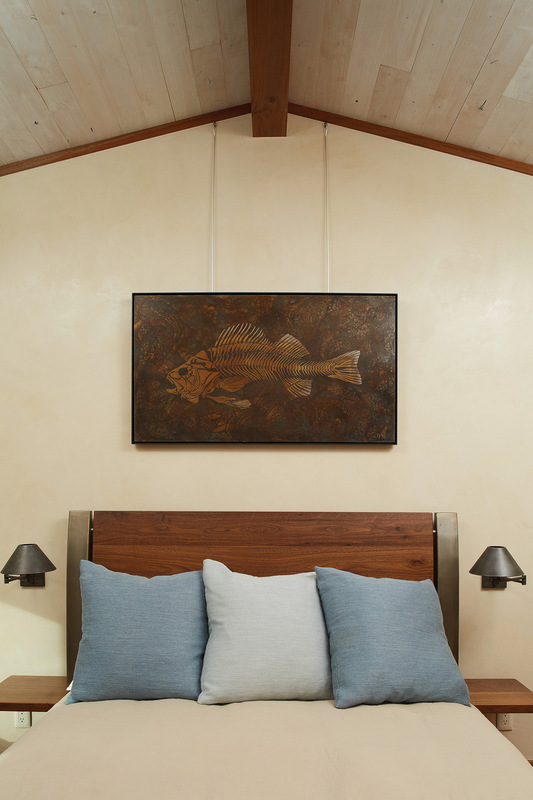 “There’s definitely an eclectic aspect to the house,” admitted Jeff Brandner. 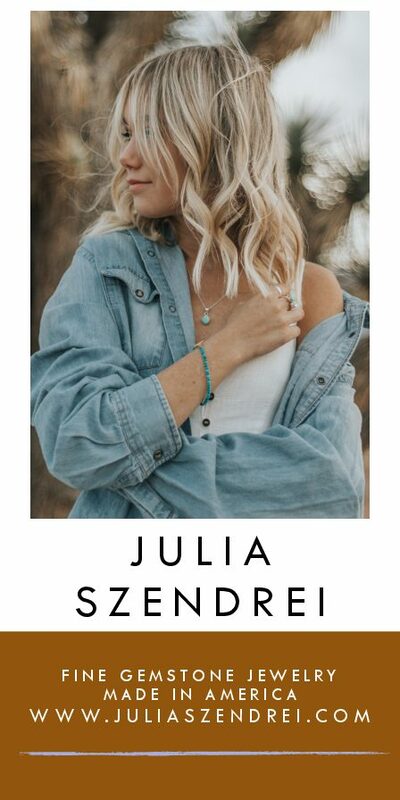 “It’s true there are a lot of different things going on.” If anyone can speak to the eclecticism — and the intent behind it — it’s Brandner. 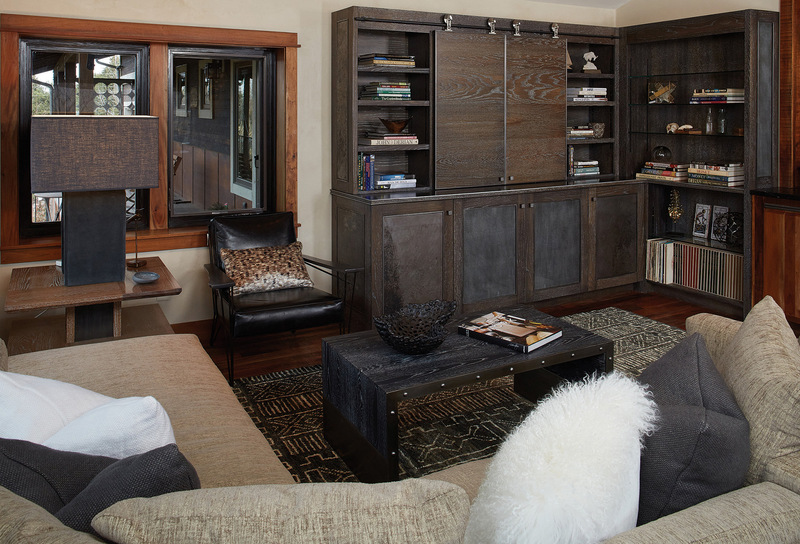 As the owner and founder of Brandner Design, he and his team conceived of the home, built it, and what’s more, they built just about everything in it as well. And now, to top it off, he lives there. Brandner bought the property, and the small, 1950s-era cinderblock house on it, in 2009, with the intention of redoing and adding onto it. The resulting 2,600-square-foot home now serves a dual purpose: “We didn’t have a showroom at the time, so the house became our showcase piece where we could build some really cool things, and bring clients through and show them the scope of what we do — because it’s kind of a big scope,” Brandner said. 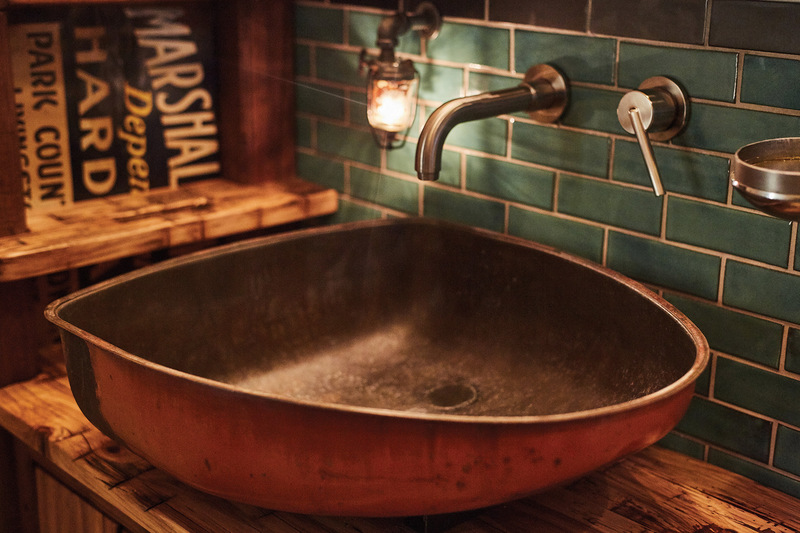 And just as the welder’s hood became a kitchen fixture, Brandner sees not what things are, but what they could be: The sink in one bathroom is half of the gas tank from a 1940s-era Case tractor. The nightlight in the same room is the petcock off of the same. The vanity on which the sink sits is made from reclaimed wood that was, in the 1700s, a loom in Virginia. 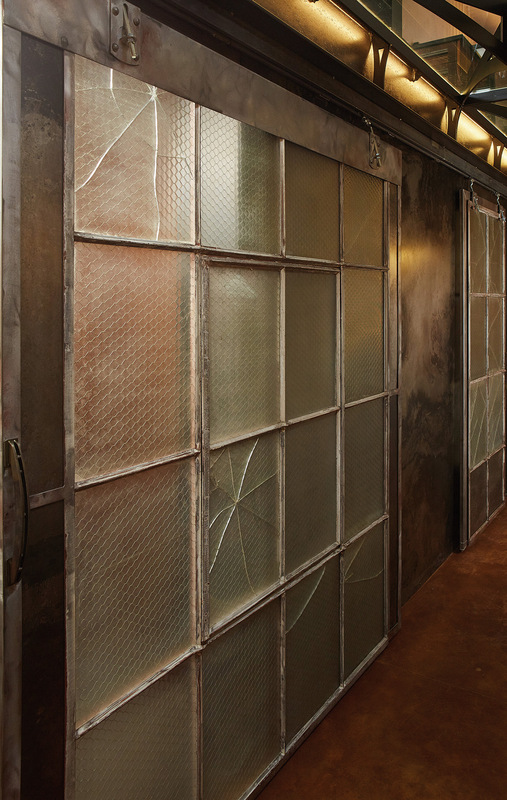 Sliding glass doors in the basement were scrounged from a Montana industrial site. 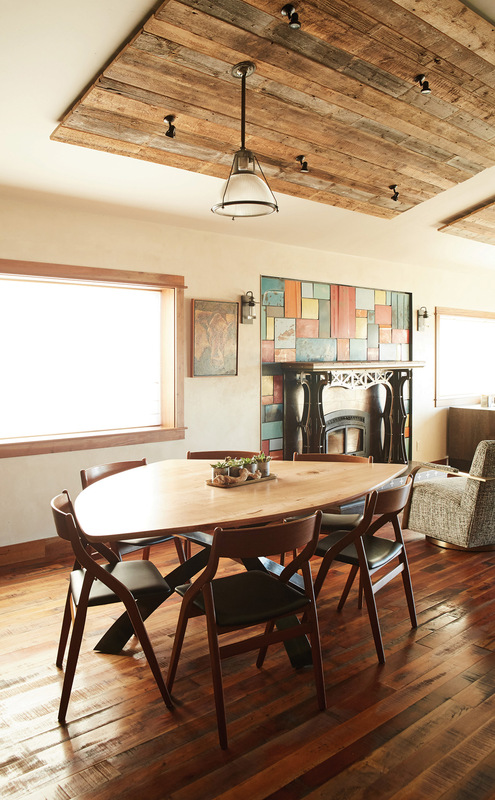 The tiles around the fireplace are made from the sun-bleached hoods of salvage-yard pickup trucks. 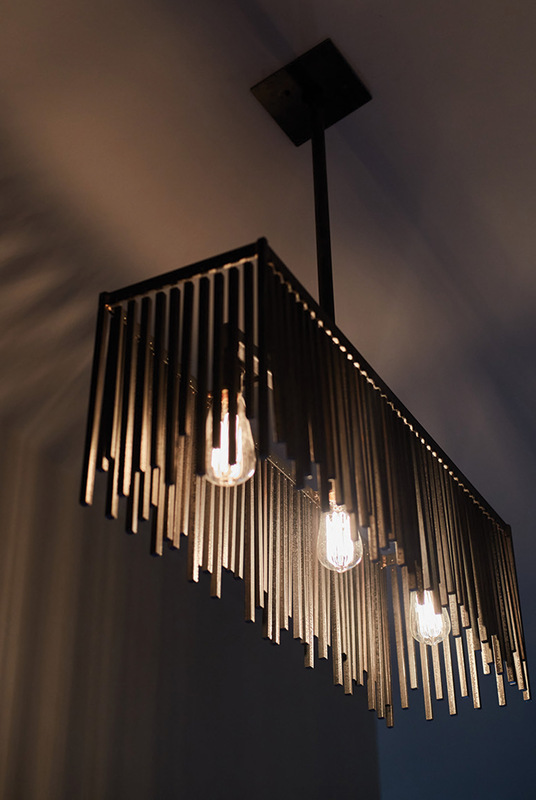 Ultimately, the home showcases what every good designer should do: create a space that’s comfortable, creative, and well-executed, and also draws inspiration from its surroundings. 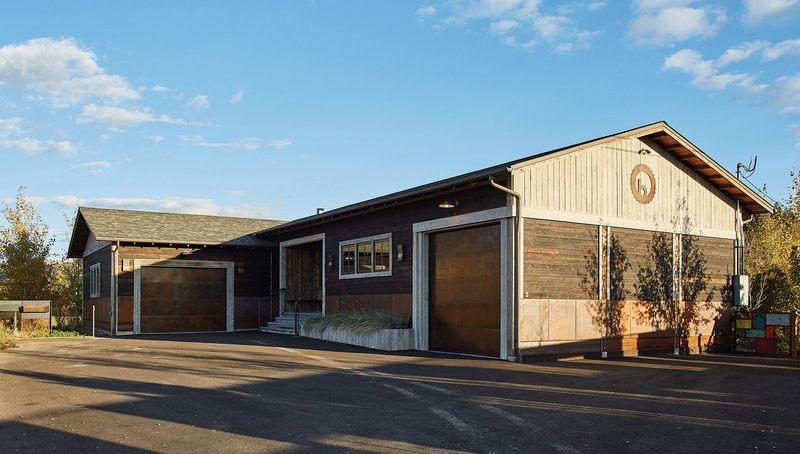 Sitting just a stone’s throw from the historic Story Mill and not far from downtown Bozeman, the home plays off the area’s industrial past. 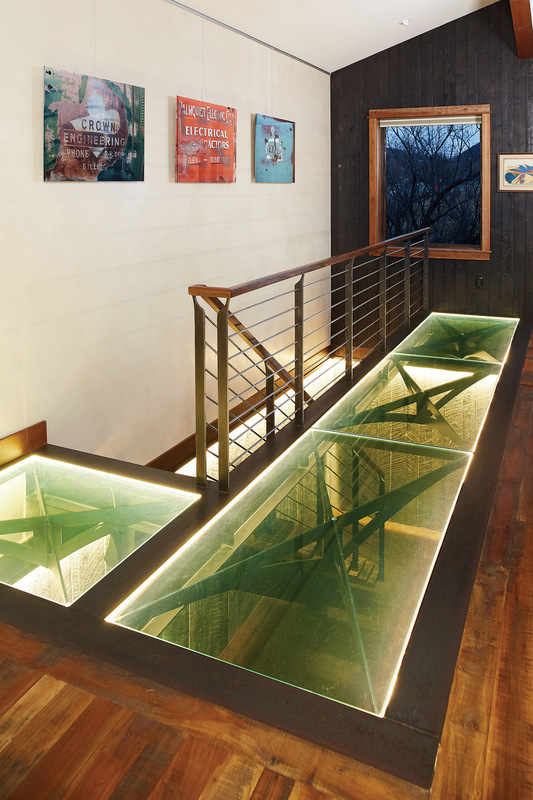 “It was a millworker’s house, and we designed it so it would be reminiscent of the mill itself. 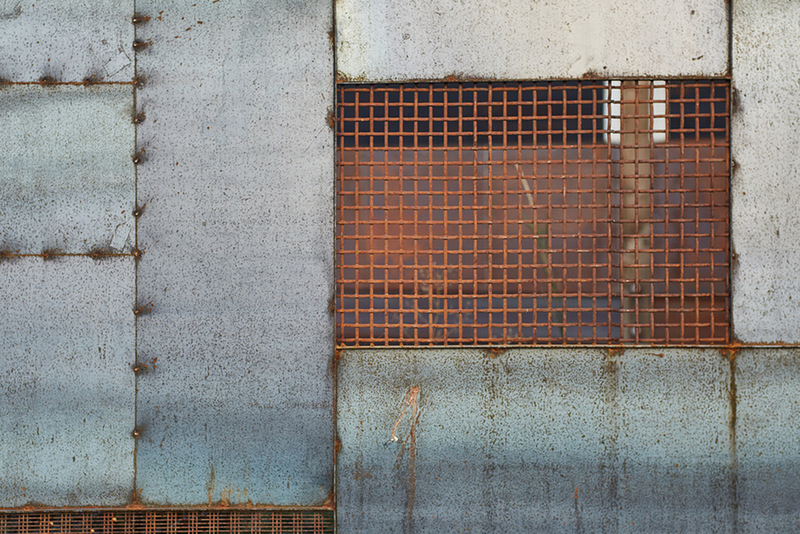 We used some steel, and we used shou sugi ban (burnt wood) on the exterior of the house, and we did some industrial things inside the house as well, trying to carry that mill vernacular through the whole design.” A Mondrian-style fence surrounds the property, a patchwork of sheet steel and gravel screen providing an industrial feel that is tempered by the native vegetation that creeps through the gaps and peers over the top. Even the low pitch of the roof and the angularity of the exterior mirror the lines of the mill itself, standing in the distance. Given the chance, would he design the home the same way again, with all of its quirks and eccentricities? 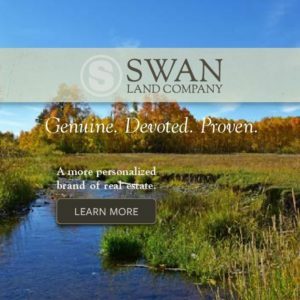 “It really comes down to what the property tells me,” Brandner said. “I think a home needs to fit the land it’s on.” But, as far as this house goes, he’s pleased that it serves both of its purposes: to showcase the skill set of everyone at the design firm, and to provide a compelling space in which to dwell. There’s no one word to describe the Brandner home: There are aspects of the distinctly modern, yet other elements draw their cues from the industrial architecture of the early 20th century and rural farm life. 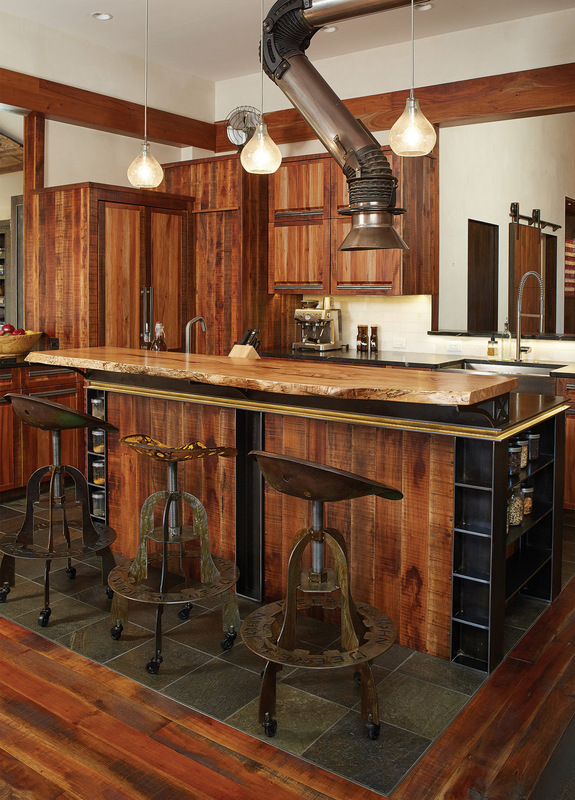 Reclaimed tractor seats become bar stools, and a welder’s hood is repurposed as a kitchen vent. 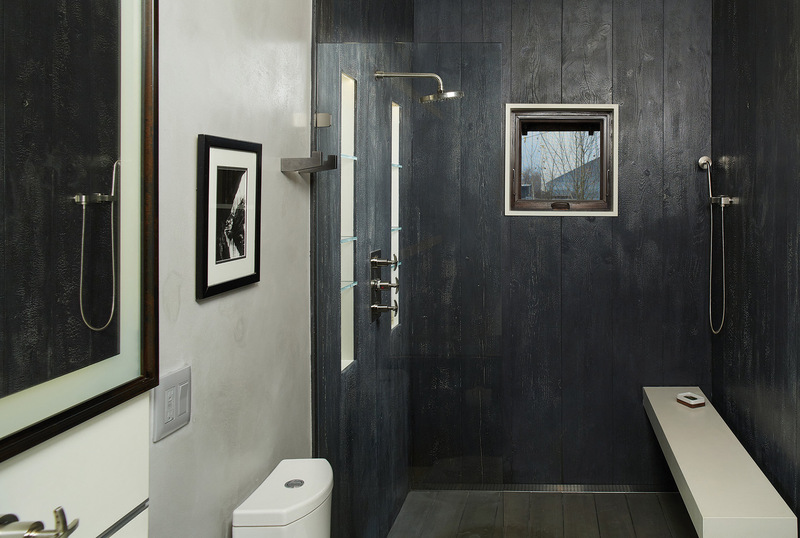 Glass and steel lend an industrial, edgy feel to the home, while the Picasso-esque, 700-pound pivot door provides a unique entry point. 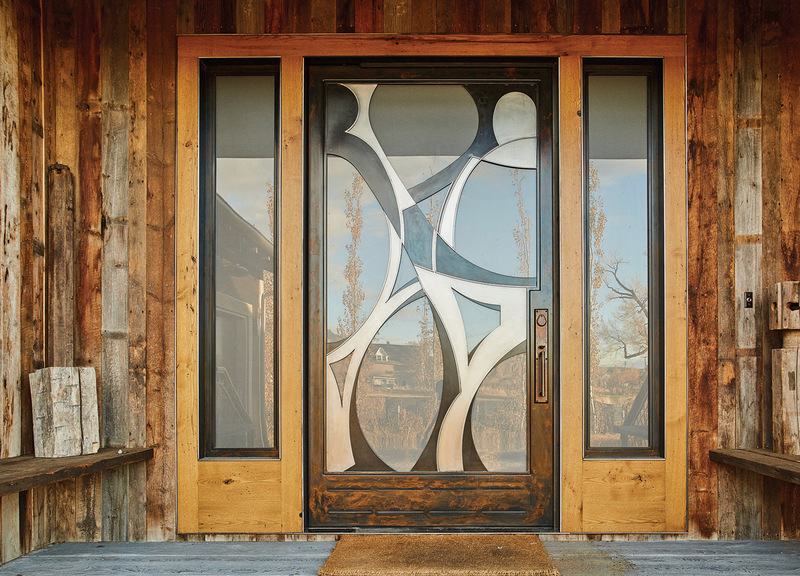 Reclaimed materials — such as barnwood and scrap metal — play a key role, as do hardwoods such as walnut and mahogany. 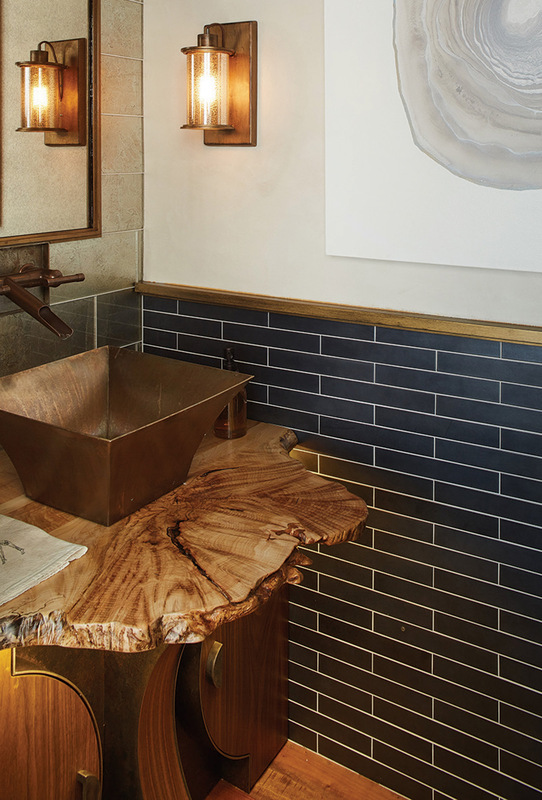 A copper sink and fixtures pair unexpectedly with slab wood and art-deco elements. In this home, the delight is in the details — and very intentionally so. 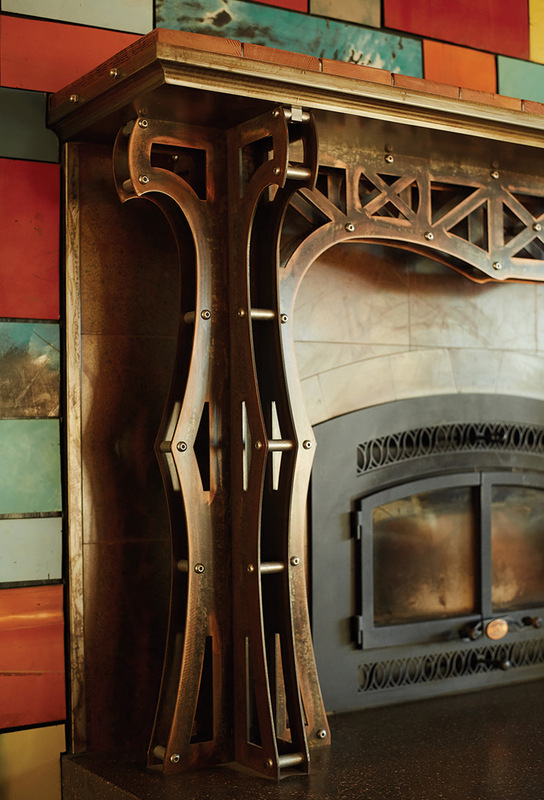 The tiles around the fireplace were cut out of the hoods of old junkyard trucks. 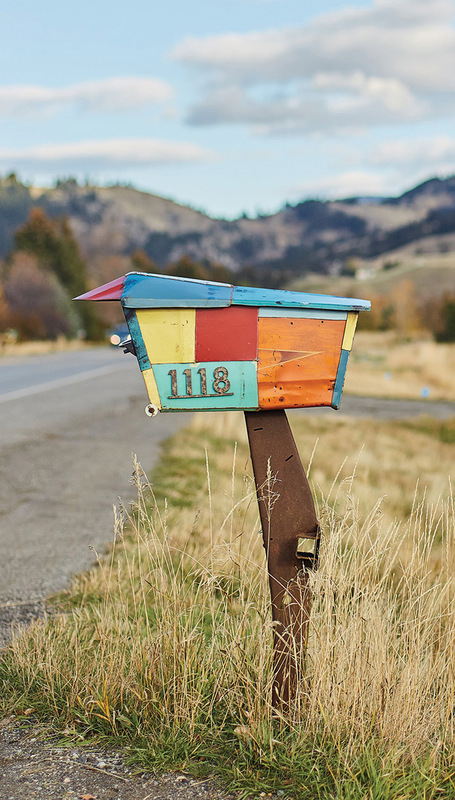 The whimsical mailbox echoes colors and motifs found inside the home. 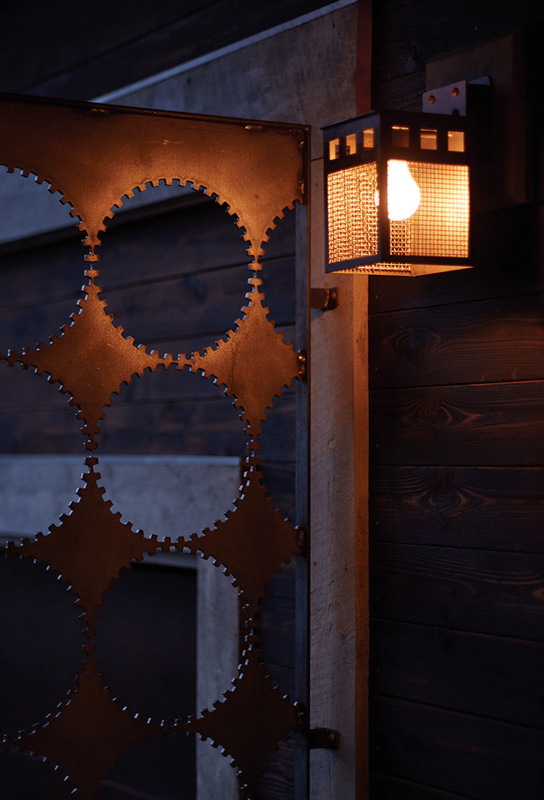 And the cog-blank shape cut from sheet steel makes a nod to the area’s industrial history.